Basements are commonly overlooked spaces in the home, but they have so much potential. A basement can of course be used for the simple classics like laundry and storage, but they can be so much more. A basement can contain additional bedrooms, a family room, home office, recreation room, or any combination of these. This level of remodeling includes simple, minor cosmetic changes. For basement renovations, this may include replacing a concrete floor with carpet or hardwood, installing new lighting, swapping some of the furniture, and similar projects. This level of remodeling is ideal if you currently have a furnished, complete basement, but only need a few minor changes to turn it into the space of your dreams. These projects also take much less time and cost less than larger-scale renovations, making it ideal if you are on a tight budget and schedule. 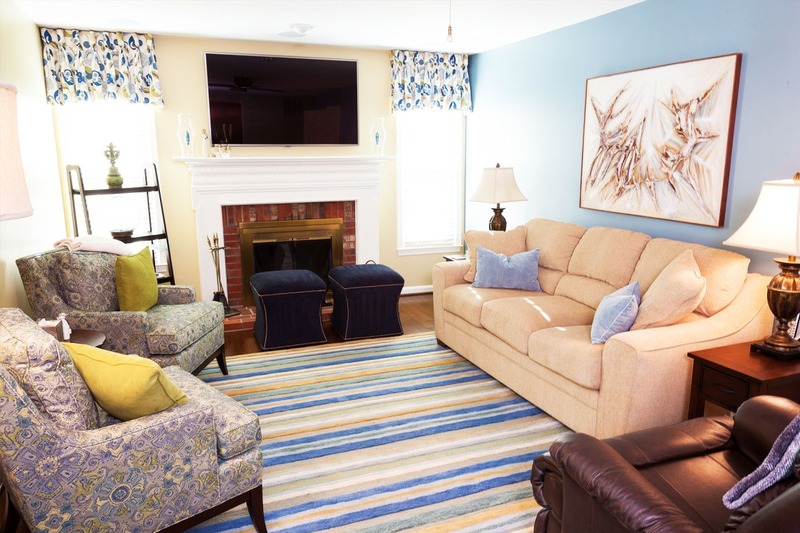 During a pull and replace project, we can replace all furniture, furnishings, and any appliances in your basement. If you are looking to get new furniture for your basement family room, for example, this level of project is for you. Like facelift remodeling, pull and replace is ideal if you have a currently finished basement but want to replace its furnishings with newer ones. This helps improve both the functionality and aesthetics of your current basement layout at an affordable cost. A full-scale basement remodel involves completely changing the layout of your space. It may involve adding rooms, knocking down walls, or expanding the layout. If you need a brand new look and layout, or you are completing your unfinished basement, Monarch Home Design + Remodeling is the right path for you. You will be able to enjoy a completely transformed basement that you and your family will love for years to come. As a design-build company, our mission is to help you create a home you love from start to end. Not only do we help you piece together your basement design, but we purchase the necessary materials, determine a budget and schedule, offer an initial consultation, and complete a flawless construction. We think transforming your basement should be as straightforward as possible. This is why we make it our mission as a basement remodeling company in Northern Virginia to handle every part of the renovation process. Learn more about our process here. No matter if you want to turn your basement into a rec room, home theater, fitness center, or laundry room, trust Monarch Home Design + Remodeling to create it. As a basement remodeling company in Northern Virginia, we have a passion for helping our clients transform their lives with gorgeous and functional spaces. With three levels of renovations, we can cater our services to fit your needs.